With the loss Sunday to the New England Patriots, the Bills are pretty much assured that they will continue their non-playoff streak for another season. Sure, mathematically they aren’t out of it but they need to win Sunday and get a lot of help from other teams. My experience tells me that won’t happen. While this team didn’t hit one of their primary goals, there is still a chance for a winning season with a victory over Miami this week. With a new coaching staff and front office in place that is a very important item in which to start off a program. Now, we have to look at what is needed to get the Bills over the hump and become a perennial playoff contender. The first order of business is to find a quarterback. Tyrod Taylor has shown all year that he is not a playoff caliber player. He really isn’t a starting NFL quarterback but rather a good backup who can hold the fort and perhaps win a few games if he has to play. With one game to go, we really don’t know what the Bills have in Nathan Peterman. His injury in the Snow Bowl versus Indianapolis took away his chance to play in the last two games. As I write this it, it remains to be seen if he will be the Bills starting quarterback in Miami. My thinking is they need to find out as much as possible about him as they can and that means starting him this week. In the offseason the Bills will have two areas pf player acquisition in which to find a quarterback. One is free agency and the other is the NFL Draft. The chances that a winning starting quarterback will be available in free agency is minimal. The hot name at the moment is Washington’s Kirk Cousins. Cousins played some great football in 2015 and 2016 but his production fell off some this season. Some will argue that his numbers are actually better (they are) but sometimes numbers can be deceiving. It’s about winning and when the big plays are made. From that viewpoint, Cousins hasn’t played as well. A case can be made that it’s because Washington’s offensive coordinator last year, Sean McVay, went to the Los Angeles Rams. When we see the improvement of Rams quarterback Jared Goff under McVay we can say that losing McVay was huge. Also injuries and the overall supporting cast in Washington is not what it was a year ago. Still Cousins is a quality quarterback and the type of player we seldom see available in free agency. There is still no assurance that Cousins will be available. The Redskins could put the franchise tag on him but that would be very costly to do so. They could also use the transition tag that would allow Cousins to test the market but Washington would have the opportunity to match any deal that Cousins signed. The third option is to sign a long term deal in Washington. The best way to go about this is to feel that Cousins won’t be available and if he is go after him. With three weeks to go before the underclassmen have to declare we still don’t know what quarterbacks will be in this year’s NFL Draft. 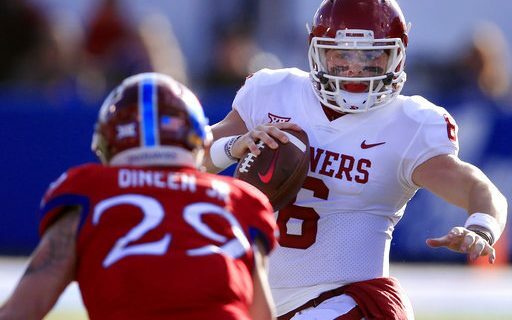 Even if all the top underclassmen do enter, this year’s quarterback class is not as good a last year’s, regardless of what the draft analysts want to tell you. There isn’t a quarterback in this class as good as Deshaun Watson, Mitch Trubisky or Patrick Mahomes. The best guys have a little lesser talent than Mahomes. That’s not to say that they can’t be winning NFL quarterbacks, I’m just saying that there is no sure shot. If Josh Rosen declares, he may be the most talented guy, but he also has some negatives. He isn’t a top leader, he can be difficult to coach and he has never been a consistent winner while in college. Some have said that he is this year’s Jay Cutler and that is a very good comparison. A lot of physical tools but does he have the intangibles. USC’s Sam Darnold still has two years of eligibility left and he may return to school (he should). He is also very talented but his play as been very inconsistent all year. That said, he will become a good NFL quarterback. The two best senior quarterbacks in this class are both from Oklahoma schools. If Baker Mayfield from Oklahoma was 6’2, he’d be the first player selected in the draft. But reality is he may not be 6’0 and that will cause him to drop a little. Does he get to the Bills? Maybe and if I were in the Bills Draft Room, I would be jumping on the table to get him. He may be short but he can play, is a strong leader and consistently makes big plays. He would be a day one starter for just about any team that drafts him. Mason Rudolph from Oklahoma State has the size required and his production over his career is outstanding. He has a good, not a great, arm and his mobility is average but he can make big plays and has all the intangibles a team is looking for. He will start early in his career for most teams. He should be available when the Bills pick and may even be there for either of their two first round picks. There are some who feel he is more of a second round type than a first but that will be up to the team that drafts him. After that, there are several players. But all will need development and won’t be ready to lead the Bills to the Playoffs next year. The player I would stay away from is Wyoming’s Josh Allen. It’s my opinion that he is the most over rated player in the last 10 years by draft analysts. While he is athletic and has a big arm, his numbers are poor and he is not very instinctive. Think Kyle Boller. One way or another, the Bills have to find a quarterback. Nathan Peterman may be the guy, but no one really knows that. So getting another makes it the most important thing on the Bills plate this off season. Once we find out what quarterbacks are actually in the Draft, I will go in depth on each one as far as strengths and weaknesses here in Buffalo Sports Page. Greg Gabriel has been scouting NFL prospects for over 30 years, and writes the annual Pro Football Weekly Draft Preview Guide. Read more of his NFL observations at this author’s section here at Buffalo Sports Page.